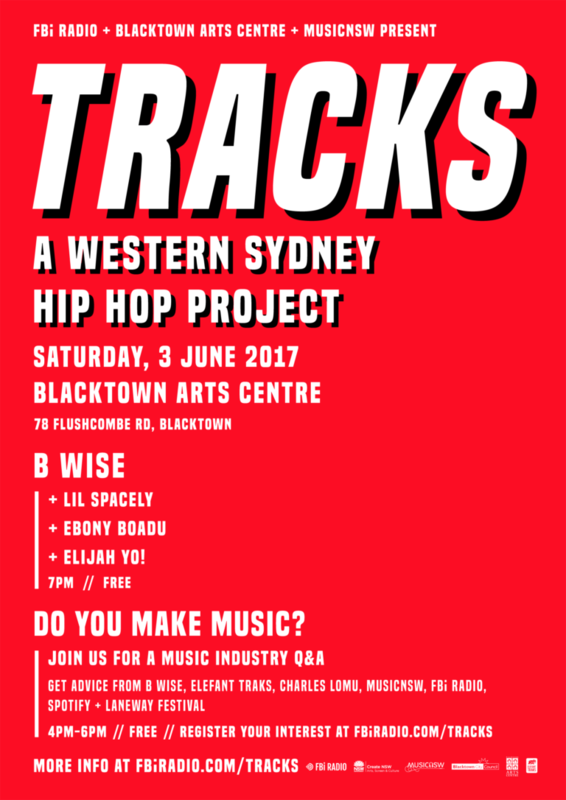 FBi Radio, Blacktown Arts Centre and MusicNSW have banded together to bring you Tracks - a Western Sydney hip hop project. If you make music, join us earlier to get advice on how to get your tracks out there. Hear from some of the best in the biz and have all your questions answered. Dale Harrison (Elefant Traks), Travis Banko (Laneway Festival), Charles Lomu, B Wise, Alex Franco, Ziggy, MC Hau, Kat Dopper, Blacktown Arts Centre and MusicNSW. Or 5:00pm Meet FBi Radio's Music Director Amelia Jenner. Bring your music for feedback on either CD or USB. Ready for TRACKS round #2? We're heading back to Blacktown Arts Centre for a music industry Q&A and live music showcase on Friday October 13, 6pm - 9pm. 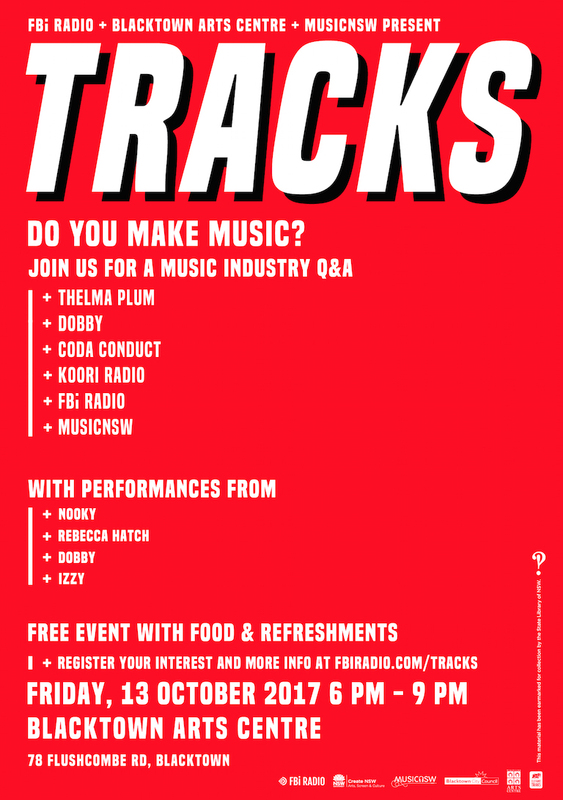 Get music-making tips from Thelma Plum, DOBBY, Coda Conduct, Izzy, Koori Radio 93.7FM, MusicNSW and FBi Radio. Plus a whole host of Indigenous artists including Nooky, Rebecca Hatch, DOBBY and Izzy are jumping on stage throughout the night.